ATHENS, Ga. — Atlanta native Amir Abdur-Rahim (pronounced Uh-mere ab-durr Ra-heem) has joined the Georgia Basketball staff as an assistant coach, head coach Tom Crean announced on Friday. Abdur-Rahim was a standout guard at Wheeler High School in the late 1990s and has a consistent record of winning as both a player and a coach. 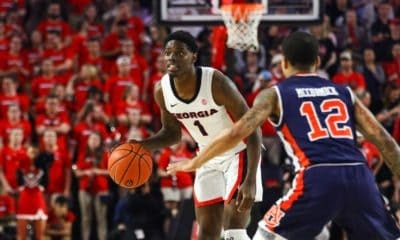 He has been on staffs at Texas A&M, College of Charleston, Georgia Tech and Murray State. 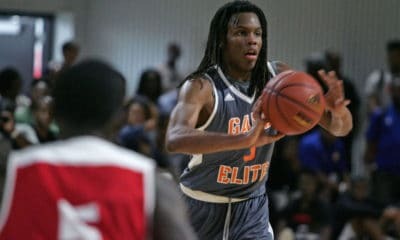 Throughout each of those stops, Abdur-Rahim has built an impressive résumé of player development and strong recruiting ties, particularly in the Southeast and his hometown. 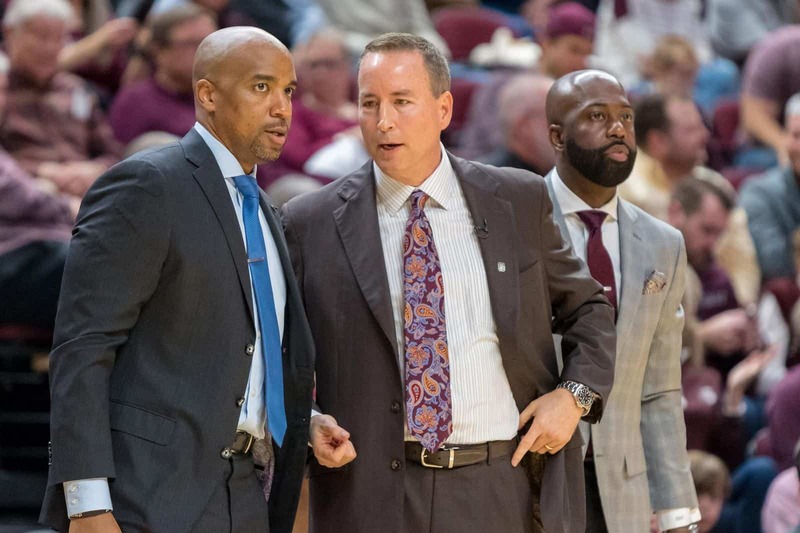 Most recently, Abdur-Rahim has spent the past four seasons on the staff at Texas A&M from 2014-18, helping the Aggies to three postseason bids including a pair of NCAA Sweet 16 appearances in 2016 and 2018. In 2016, Texas A&M won a school-record 28 games and captured a share of the SEC regular-season title, the Aggies’ first league championship in 30 years. Prior to his stint in College Station, Abdur-Rahim was on the staff at the College of Charleston for two seasons. He served as an assistant coach in 2012-13 before being promoted to associate head coach for the 2013-14 campaign. The Cougars were a combined 43-23 during that span and participated in the 2010-11 CBI. Abdur-Rahim also spent one season as director of player development at Georgia Tech in 2011-12 and five years as a graduate assistant and assistant coach at Murray State prior to that. He was a graduate assistant with the Racers for the 2006-07 and 2007-08 seasons and briefly returned to Wheeler, his high school alma mater, in 2008 before rejoining the Murray State staff as an assistant coach. During his tenure as an assistant coach, the Racers compiled a 73-26 record and won the 2010 and 2011 Ohio Valley Conference regular-season titles and the 2010 OVC tourney title. Murray State reached the second round of the 2010 NCAA Tournament and also secured a bid to the 2011 NIT. Abdur-Rahim was a three-time All-Southland Conference guard at Southeastern Louisiana from 2001-04, where he led the Lions in scoring all three seasons. He finished ranked among SLU’s career leaders in scoring (No. 7 with 1,282 points), 3-point field goals (No. 2 with 194) and steals (No. 2 with 120). More importantly, he helped an impressive upswing in the SLU’s victory total. The Lions improved from 7-20 during Abdur-Rahim’s sophomore year to 11-16 his junior season and 20-9 as a senior. That season, Abdur-Rahim was named the NABC All-District 8 team after leading SLU to the Southland Conference regular-season title. Abdur-Rahim played his freshman year at Garden City (Kansas) Community College. He led the Broncbusters to a 27-7 record and ranked among the nation leaders in scoring (No. 24 at 19.1 ppg), steals (No. 37 at 1.8 spg) and assists (No. 46 at 3.2 apg). Abdur-Rahim earned his bachelor’s degree in general business from Southeastern Louisiana in 2004 and his master’s in organizational communication from Murray State in 2008. He is married to Arianne Buchanan, and the couple has a daughter, Laila (2). Abdur-Rahim is one of 13 children and one of six brothers to play college basketball. His older brother, Shareef, was an NBA All-Star and is currently Vice President of basketball operations for the NBA. 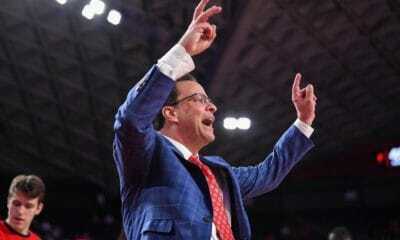 Abdur-Rahim rounds Crean’s assistant coaching hires. 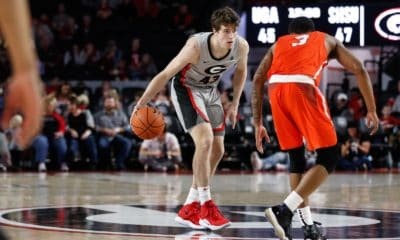 With the addition of Abdur-Rahim, the Bulldogs’ staff now features two extremely prominent names in the history of high school basketball in Georgia. Chad Dollar, who joined the staff in April, starred at Atlanta’s Douglass High playing for his father, Don, who won more than 650 games and three state titles as a high school coach. The staff also features Joe Scott, who has 16 seasons of head coaching experience at Air Force, Princeton and Denver.